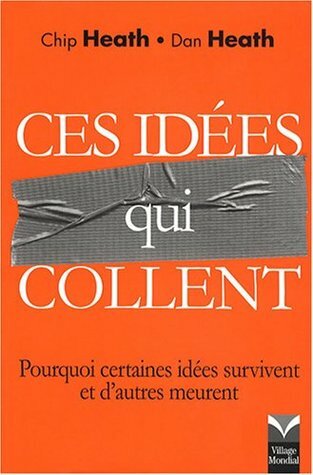 NEW YORK TIMES BESTSELLER - The instant classic about why some ideas thrive, why others die, and how to improve your idea's chances--essential reading in the "fake news" era. Mark Twain once observed, "A lie can get halfway around the world before the truth can even get its boots on." His observation rings true: Urban legends, conspiracy theories, and bogus news stories cir NEW YORK TIMES BESTSELLER - The instant classic about why some ideas thrive, why others die, and how to improve your idea's chances--essential reading in the "fake news" era. Mark Twain once observed, "A lie can get halfway around the world before the truth can even get its boots on." His observation rings true: Urban legends, conspiracy theories, and bogus news stories circulate effortlessly. Meanwhile, people with important ideas--entrepreneurs, teachers, politicians, and journalists--struggle to make them "stick." In Made to Stick, Chip and Dan Heath reveal the anatomy of ideas that stick and explain ways to make ideas stickier, such as applying the human scale principle, using the Velcro Theory of Memory, and creating curiosity gaps. Along the way, we discover that sticky messages of all kinds--from the infamous "kidney theft ring" hoax to a coach's lessons on sportsmanship to a vision for a new product at Sony--draw their power from the same six traits. Made to Stick will transform the way you communicate. It's a fast-paced tour of success stories (and failures): the Nobel Prize-winning scientist who drank a glass of bacteria to prove a point about stomach ulcers; the charities who make use of the Mother Teresa Effect; the elementary-school teacher whose simulation actually prevented racial prejudice. Provocative, eye-opening, and often surprisingly funny, Made to Stick shows us the vital principles of winning ideas--and tells us how we can apply these rules to making our own messages stick.